There comes a time when we all have to become grownups. Living at our parent’s house and listening to their commands every day is what we all hated as teenagers. But, as much as we hated that, we start missing our parent’s house when we realize how difficult can living on our own be. Some may have problems with doing the laundry, some with washing dishes, and others with making food. But the biggest problem of all, when it comes to living as a student (and by this I mean living on your own, far away from your home) is how to manage not to go bankrupt, and deal with money in the best way possible. This includes questions such as: where will you live; will you have time to work while studying – as you are most probably well aware, the list goes on and on. The most common thing that students do is get a part time job. But, with part time jobs, it is difficult to get enough money as one needs. You have to buy food, you have to pay the bills, you have to pay rent and you also need money to have fun, because you are young only once, after all. So, how to manage? The following text should help you find a solution to this problem. Grants – Gift aid from grants that you usually get as an award based on financial need. Work study – FWS – The Federal Work-Study program, is a funded source of financial help based in USA, where you can earn money while studying by working and attending school. It can be really helpful giving the prices of tuition there. Scholarships – Scholarships are very common, and they are usually based on some specific criteria. They don’t have to be repaid and are offered by colleges and universities. A Relocation Scholarship is the best option for you, if you have moved away from home. Not everyone can get a this one because, in order to get it, you have to be, firstly, away from home (which is why it is called “Relocation”), secondly, you have to be a full time student, and, finally, you have to have some income of your own. This type of scholarship is only for students coming from another city or state, and this is because these students are more likely have more problems than the rest. If you have solved the problem of where you can live, here are some other every-day tips, that can help you spend less money. 1 Never buy food on an empty stomach. 2 Plan meals ahead whenever you can. 3 Don’t avoid buying no-name brands! They also taste great, but are a lot cheaper. 4 Make a shopping list, and try to stick to it. 1 Turn off lights and turn off the heat when you are not at home. 2 Remember that costs are higher during the winter months. 3 Don’t avoid yard sales. You can get great but cheap furniture there. 1 Try to make list of what you have bought and spent after a week or a month, and then compare lists from different months. If, for example, January is the month you spent most money on, see what made you spend more money than usual in that month, and try to avoid it in the future. 2 Try to put some money aside every month, because you never know what unexpected expenses you might run into. 3 Always keep in mind that you tend to spend the most money in the beginning of the year. You can always consult an expert in the field of bankruptcy laws just so that he or she can explain to you how and what to do to avoid it, and, if by chance you get yourself into such a predicament, how to get out of it. This all may give you an impression that studying away from home is hard, but with an only minor effort, you can help yourself and have a healthy and nice student life. Studying is what builds our future and we should always try to make it as simple as possible. If you organize everything well, studying will be the best period of your life. 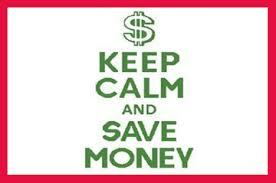 Don’t forget that, other than scholarships and other student aids, everyday savings can help a lot. And, enjoy your student life!